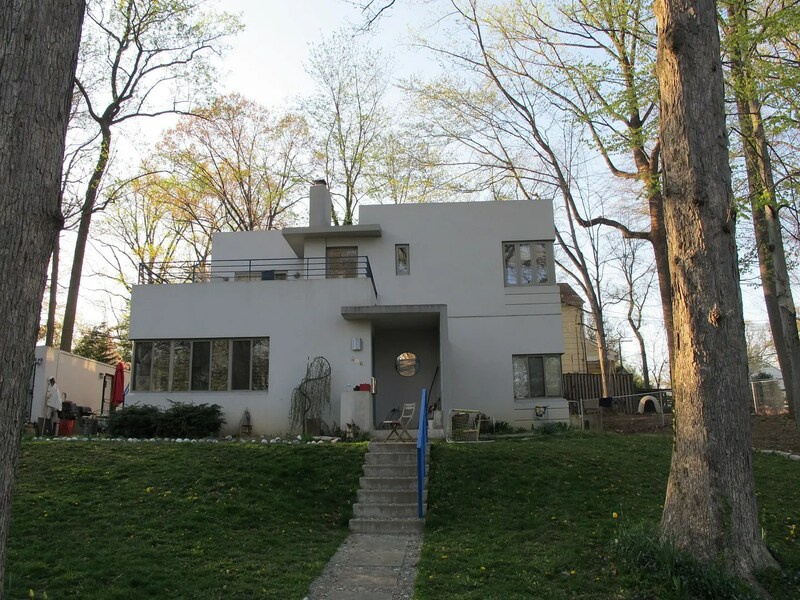 We ran across some interesting stucco moderne architecture today. It has interesting stacking volumes. 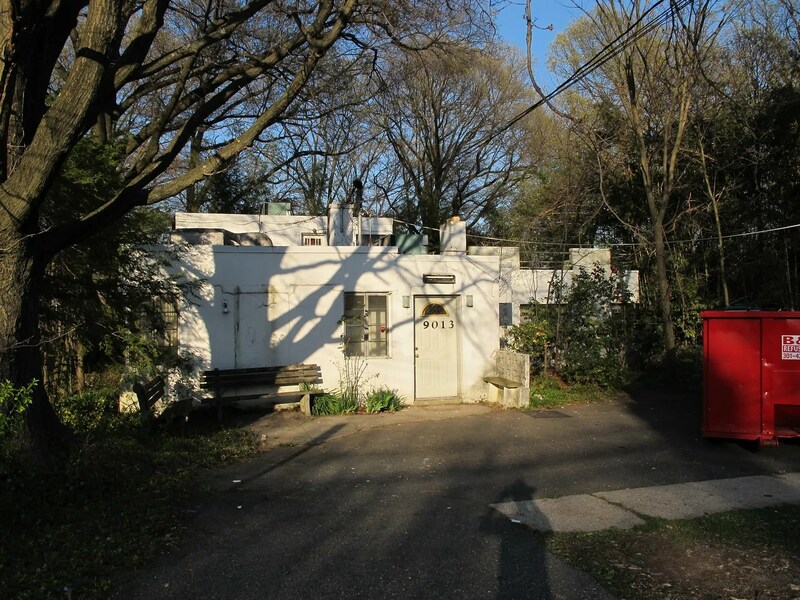 This first one , a 2628 sq ft, 2 bedroom house on Flower Avenue was built in 1935. 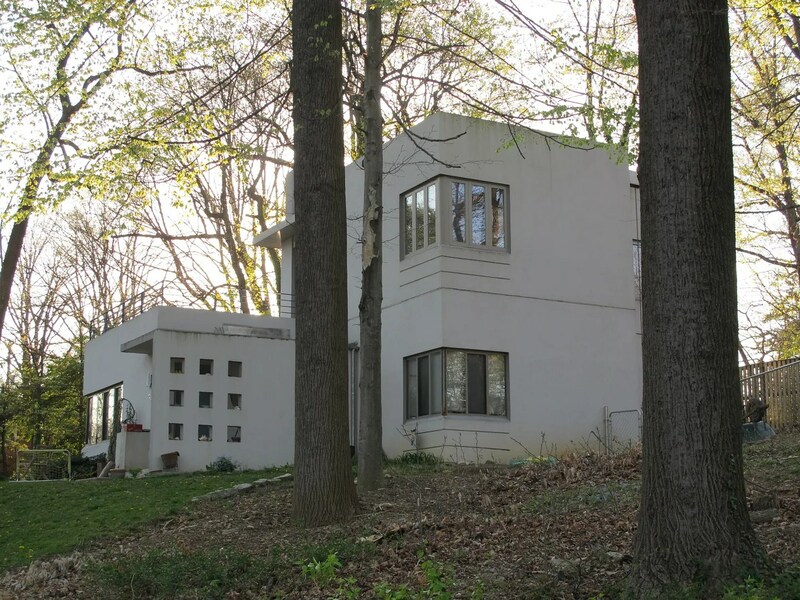 The second, just around the corner, was built in 1938. 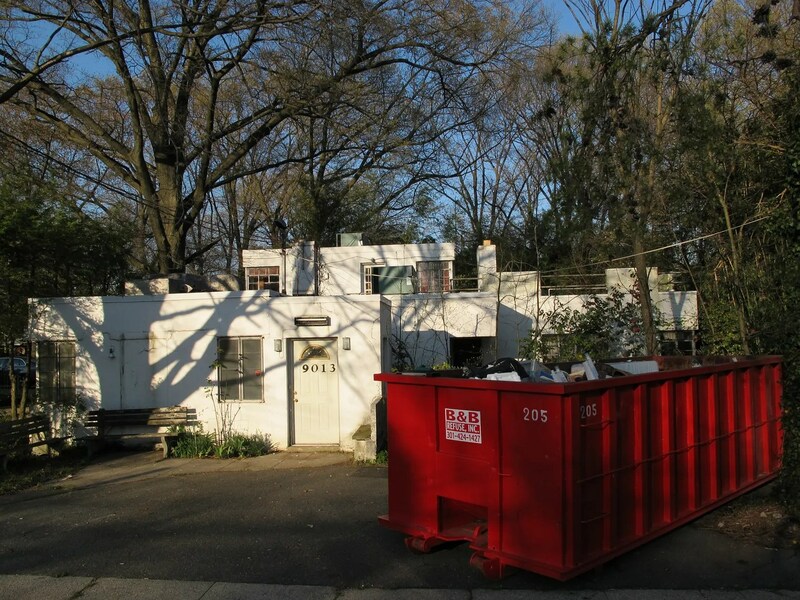 A dumpster by the first house! Not a good sign! Sympathetic renovations we hope. It didn’t look like there were any real construction debris in it, just junk. 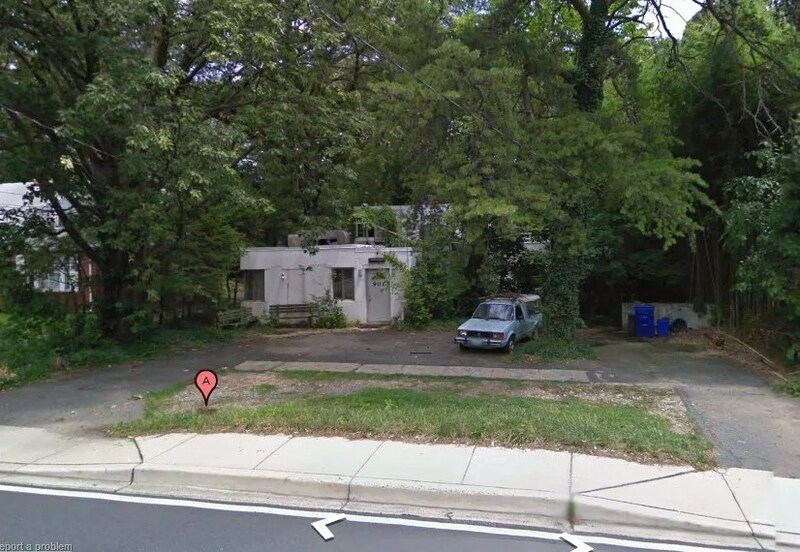 Here’s what the place looks like on googlemaps- a bit more overgrown. Maybe it was sold recently.